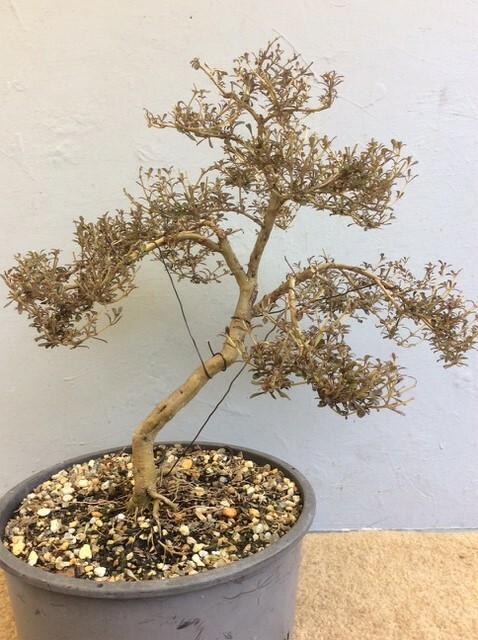 A Little Morte on Wiring | Bonsai Society of Australia Inc.
To do good bonsai wire is a necessity but some people can’t seem to see the reason. Cruel, they say. Can’t you do it another way? Not really. You have little control over the shape of a branch using weights and clip and grow is slow and tedious and doesn’t help styling on a more mature plant. 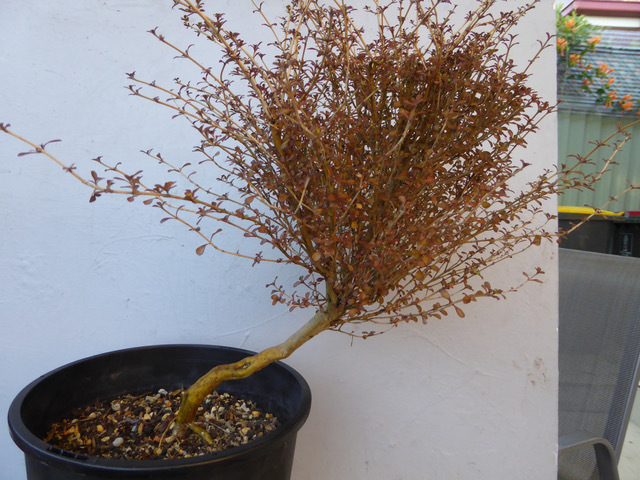 It is wire and only wire that will take a shaggy, shapeless stock plant like this coprosma copperleaf from a bush to a bonsai. This picture was taken mid September just after the plant was purchased. The wire was removed in late January and tie wires added to maintain the depth of the bends of the major branches until they set. Same tree four and a half months later- still has a lot of development and the angle will be modified when it goes into a bonsai pot but the structure of the tree is established. When the main branches were wired they were gradually shaped over two weeks, bending a bit more every few days so the branches didn’t crack. The branches are not setting easily, hence the tie wires but the wrapped wire was starting to mark. The upper trunk is too straight but too short and strong to try to put a curve in it. The foliage will be styled to mask some of the straightness. Wire – an essential component of styling bonsai and learning good wiring skills is a great advantage.